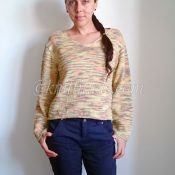 This short sweater with harmonic pattern is a lovely summer sweater that you can wear with jeans, over a dress, with a skirt, etc., and accessorize it nicely. 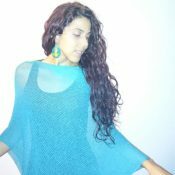 This is my first hand knitting pattern project. Until now, I only hand knitted but never created a pattern. It’s available in S, M, L sizes. 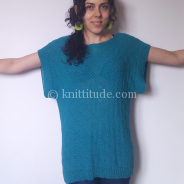 Everything, including where you can buy the cotton yarn I used, you find in the pdf file that you can download below. When you click the download button that will be revealed to you after subscription, you will be prompted to save the pdf file of the pattern on your device. Any suggestion, question or comment is welcomed. 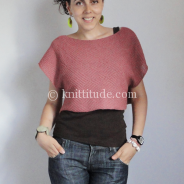 Where is the download button for the short sweater? Can’t find it! You need to subscribe in order to have access to the download button. The form you can find right bellow the description of the pattern.